The U.S. Army‘s Medical Research and Materiel Command has rolled out an Android-based mission planning application created by the Army Research Institute of Environmental Medicine for military personnel who perform high-altitude operations. 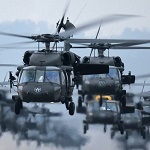 The Altitude Readiness Management System works to predict the likelihood military personnel will suffer mountain sickness or experience reduced performance at various altitudes, the Army said Monday. The Android-based app is designed to also provide users access to an acclimatization module. “ARMS does not do anything to prevent illness, but it helps commanders plan altitude missions with appropriate expectations,” said Beth Beidleman, ARMS principal investigator at USARIEM’s thermal and mountain medicine division. “The good thing about ARMS is that it puts the planning tool in soldiers’ hands. They can push a button on an app and have easy access to critical information that can prevent detrimental hypoxic events from occurring,” she added. According to Beidleman, the Army Forces Command and Special Forces have adopted the tool. 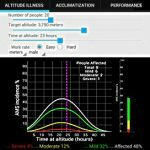 Aside from the acclimatization module, the app also offers two additional modules on how to manage altitude-related illness and decrements in physical function.